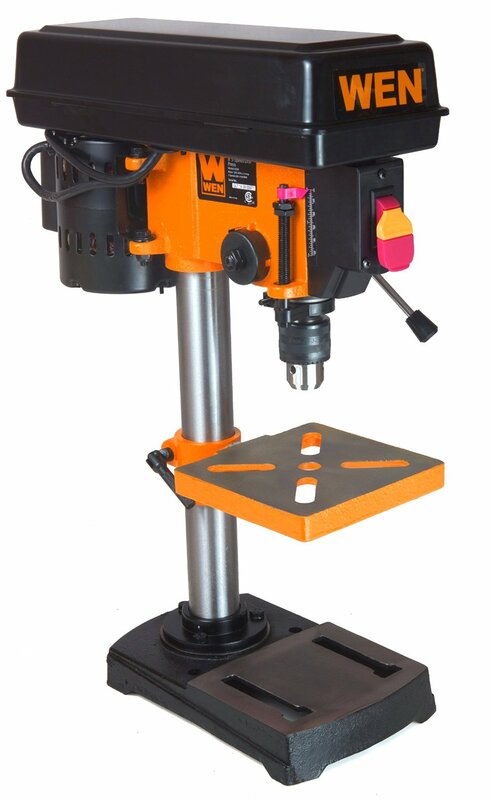 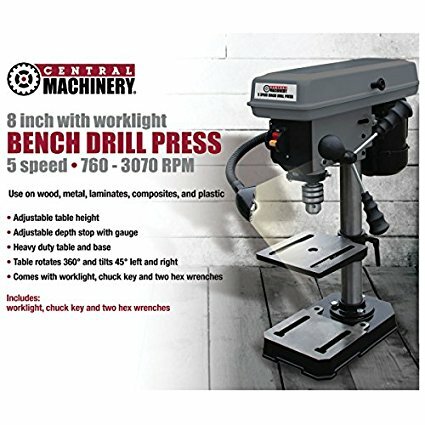 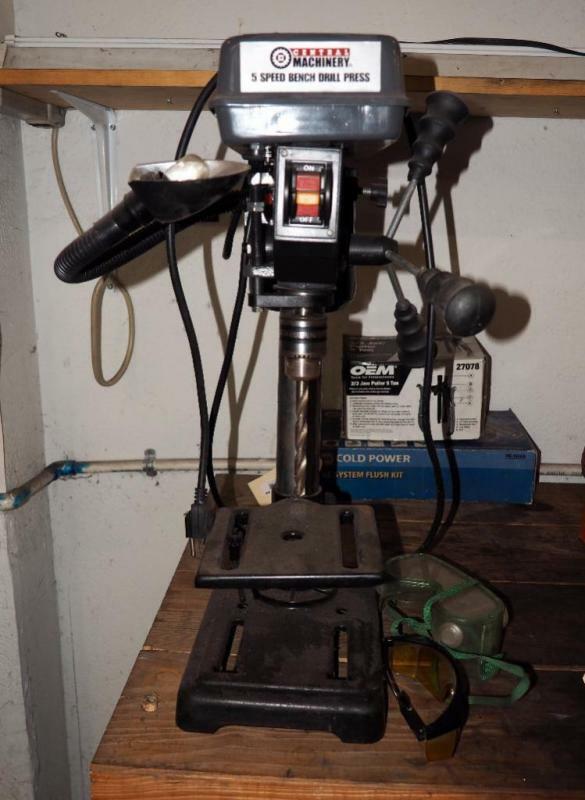 Central Machinery 60238 5 Speed Bench Drill Press can be used for all types of drilling works. 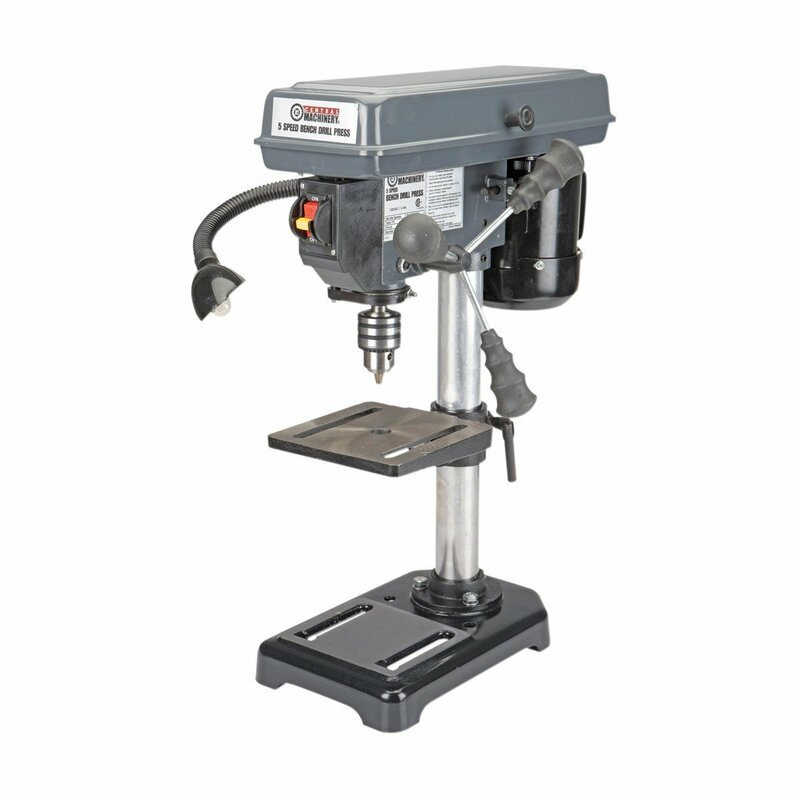 It also comes with required accessories such as a built-in work-light and tilt table. 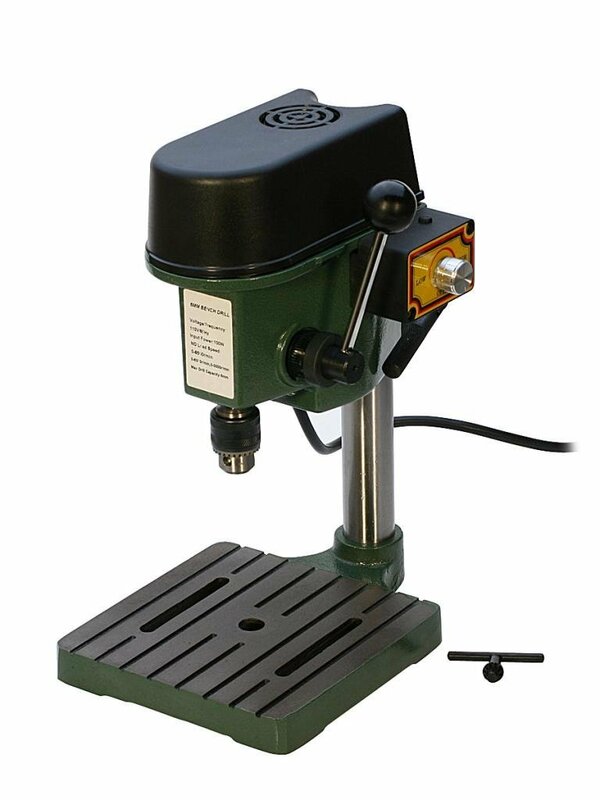 Further, it features an adjustable depth stop with gauge and cast iron base and head for the longer durability.